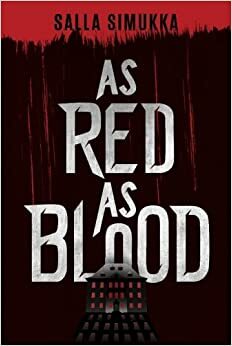 As Red as Blood, book one of the Snow White trilogy by Finnish author Salla Simukka, was one of the free options for Kindle owners a couple of months ago. It's a young adult thriller with Snow White as the inspiration. The plot wasn't too complex and it was a fairly quick read, but be aware there are swears/a few f-bombs, plus references to the darker side of crime-violence, drugs, and murder, if you're considering recommending this to a younger reader. Other than that it's a good action story, easily readable yet still exciting and fun, with clues and plot unfolding at a good pace. I wasn't sure if there would be only a vague Snow White reference (the main character's name, Lumikki, means "Snow White" in Finnish) but I was excited to find multiple fairy tale references all throughout the story-more than passing mentions, but allusions to certain plots, motifs, and symbols. 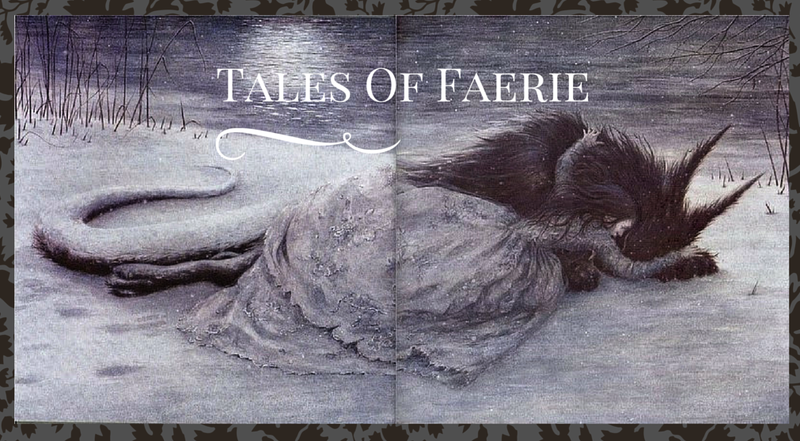 The story culminates in a mysterious fairy tale-themed ball in a house in the middle of the woods. The main character is the classic action heroine. She's not the most realistic or relatable, especially as a 17-year old high schooler, but the type of cool, level-headed, quick-thinking-in-a-tight-situation character that we all like to vicariously live through at times (I kept being reminded of Sydney Bristow from Alias). Lumikki is already an expert in disguise, physical fitness, stalking and shaking off stalkers, but you do learn throughout the book that she experienced some dark episodes in her past that led to her intentionally studying such survival techniques/martial arts. It's a great book if you're in the mood for an exciting thrill that won't be too confusing or require too much time, but what made it most exciting for me were watching for all the fairy tale references (and Grimm versions too, not just Disney), and other themes Simukka highlighted. 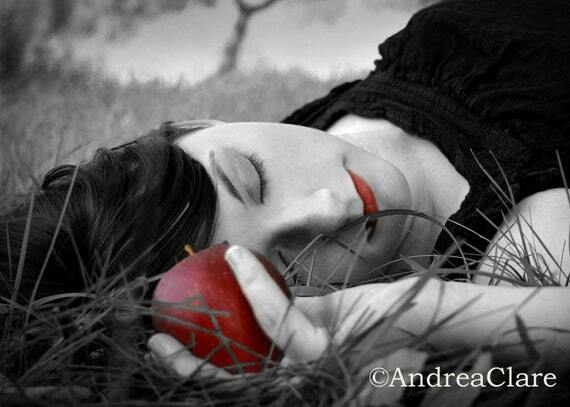 It seemed that she had really thought about "Snow White" and wanted to extend the same themes in a new story while still making use of the classic fairy tale. 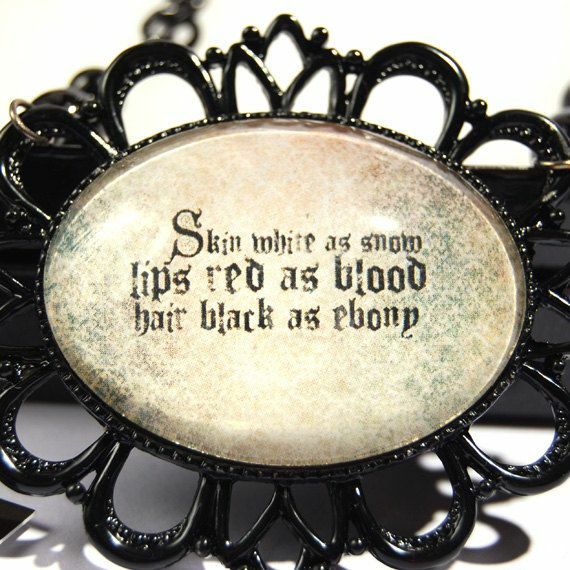 One of the most notable aspects of Snow White is the importance of color, especially red, white, and black. I noticed what seemed like intentional references to color, especially these three (the titles of each book in the series is one of these colors). I also noticed that most of the characters, and sometimes the settings, were also characterized by certain colors. Elisa was pink and black, Natalia white, etc. The significance of color also led into some of the other themes in the story. In "Snow White," beauty is an obvious theme, but linked to that is the ideas of identity and disguise. The Queen finds her identity in her physical appearance, so much so that she is willing to put on a disguise to trick Snow White. As scholars have pointed out, the things the witch tempts Snow White with-stay laces, pretty comb-are all forms of beautification/changing your appearance. In "As Red as Blood," Lumikki realizes that colors and scents are all part of a person's identity, and because she wants to be invisible, blending in and adaptable, she intentionally wears neutral colors and no scents. The only times she wears colors are when she is in disguise. She muses-a little too judgementally, in my opinion-on the shallowness of other high schoolers, and the type of girls that wear makeup and fashionable clothes. But it does make you think about how much our clothes and preferences are part of our identity, and how much are they just masks that we wear? Is each character's "color" integral to them, or how they've chosen to represent themselves? Lumikki is able to slip on false personalities in her mannerisms and body language as well as clothing and makeup. At times, multiple characters fit the image of Snow White, but other fairy tales are referenced, especially Snow Queen, Cinderella, Little Red Riding Hood, even (I think) The Boy Who Learned Fear. I don't want to give any spoilers, but I kind of want to compare the fairy tale references I found with someone else who's read the book and see if anyone else caught some that I missed. At times, Simukka cleverly subverts classic fairy tale scenes. For example, Little Red Riding Hood is known for her red cloak-as some people see it, the bright and bold color probably helped draw the wolf towards her and was part of her own downfall. In one scene in the book, Lumikki has borrowed another character's red hat, and some of the con men start chasing her, believing her to be the other girl (again, disguise). But she realizes that the hat betrayed her, and instead of being prey to the bad guys, she tosses the hat off in another direction and climbs a tree, leading her pursuers down the wrong path, and using the red as a weapon instead of it being her weakness. "Snow White in a glass coffin. Sleeping her eternal sleep. "No, she refused to let someone else write her story." Anyone else who read this book, it would be fun to discuss more details in the comments!